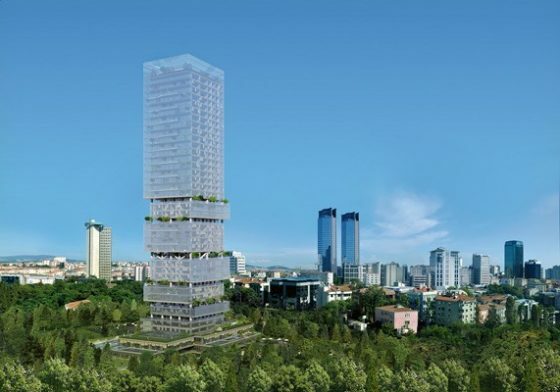 Istanbloom project rising within İstanbul panorama and consisting of totally 46 floors with 36 floors reserved for housing units, 4 for penthouses and 4 for office floors has been designed considering all essential requirements from security, green areas to mini shopping hall and outdoor pool. With only 400 mt distance to Büyükdere Street and Gayrettepe Metro Station and offering unique characteristics, Istanbloom promises a brand-new way of life in İstanbul no matter what your style is. a built in natural climatization with its double walled front face designed as interlocked, Istanbloom carries the green to the sky with its interior court yards and layered gardens. Istanbloom, with its landscape design which is almost unprecedented in İstanbul, has been designed in just center of the city for those who do not give up nature as much as dynamism. Surrounded by 5600 m2 green areas, Istanbloom has a serene and healty environment away from city’s confusion with its unique landscape arrangement. It has been designed in a manner that you can enjoy nature in middle of the city with its running and walking tracks, bicycle course, reflecting pools, children’s play grounds, sand pool, mini shopping hall for weekend events, cafe areas with gardens. 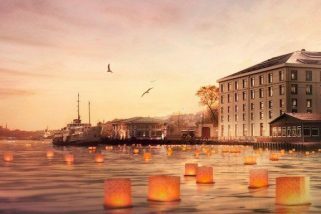 This authentic silhouette reflecting İstanbul’s historical and cultural diversity shall be the new symbol of İstanbul.